We're proud to announce that TrakIT now supports GPS integration with multiple GPS Tracking providers. Whether you're just using a single provider or multiple providers, we can connect to the provider's API and get location information about your assets and display them on a single map. 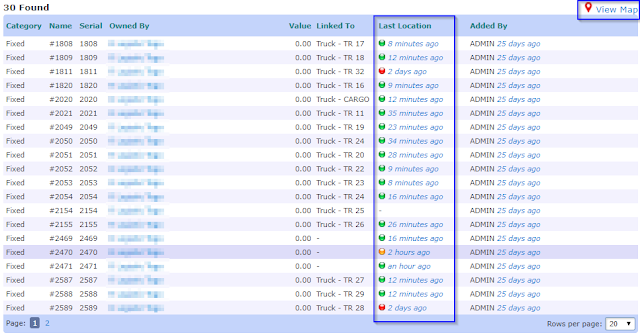 When location tracking is enabled, the Last Location column is displayed in the Asset List along with a 'View Map' link. 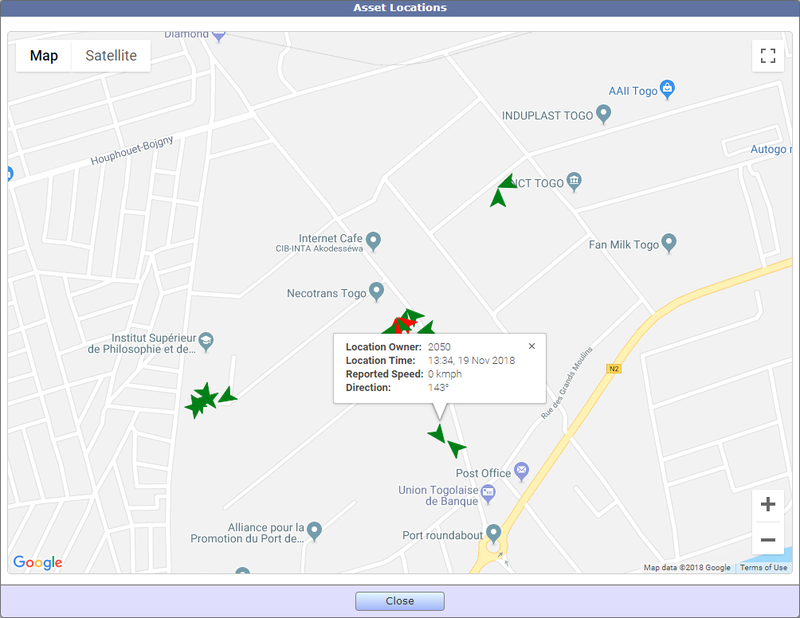 The Assets can be trucks, trailers or even portable GPS devices directly as shown in the example below. The Last Location column displays the time when the last location update was received from the GPS provider. A green light indicates that the location was received less than an hour ago. An orange light means the location was received more than an hour ago but less than 12 hours ago. A location older than 12 hours is displayed as red. Click the 'View Map' button to view the location of all selected/filtered Assets on a map. If you wish to push asset locations to TrakIT via an API or web-hook, we support that too. Please contact TrakIT Support if you need to integrate with your GPS provider.